Waiting on Wednesday is a weekly meme hosted by Breaking the Spine. Each week allows you the opportunity to spotlight an up-and-coming release you are excited about. A terrible darkness has fallen upon Jacob Weisz's beloved Germany. The Nazi regime, under the leadership of Adolf Hitler, has surged to power and now hold Germany by the throat. All non-Aryans--especially Jews like Jacob and his family--are treated like dogs.When tragedy strikes during one terrible night of violence, Jacob flees and joins rebel forces working to undermine the regime. 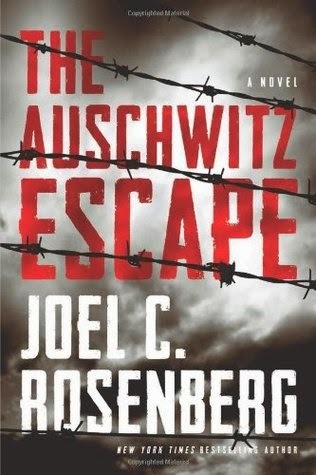 But after a raid goes horribly wrong, Jacob finds himself in a living nightmare--trapped in a crowded, stinking car on the train to the Auschwitz death camp.As World War II rages and Hitler begins implementing his "final solution" to systematically and ruthlessly exterminate the Jewish people, Jacob must rely on his wits and a God he's not sure he believes in to somehow escape from Auschwitz and alert the world to the Nazi's atrocities before Fascism overtakes all of Europe. The fate of millions hangs in the balance. I am drawn to war stories. More more of them are about WW2. I have not read anything by this author yet, but the synopsis has drawn me to this story and the plight of the characters. It's a heartbreaking time and event in history, I already want to know how Jacob Weisz and his family will fare. Hmm, I haven't heard of this one yet, but I love books about WWII! I'm drawn to them all! Have you read Code Name Verity? If not, you should totes check it out! I just read it and it was amazing!!! Great choice! Hope you're having a great week!